We always remember the computer or video game console that we played our first game on. In my case, I still remember the clunky Apple II that I use to boot up some card game that I couldn’t play well. While our first machine definitely deserves a place in our homes for making us fall in love with technology, most of us don’t have the luxury of space to make a shrine to honor our gadgets (especially for those of us who live in small apartments in big cities). 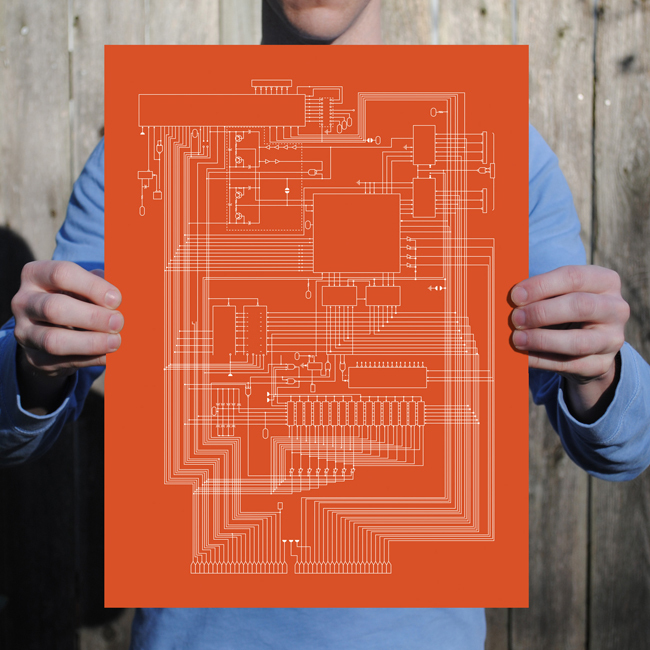 So, to honor your first true tech-love, why not decorate your walls with the the schematics of classic computers or consoles? 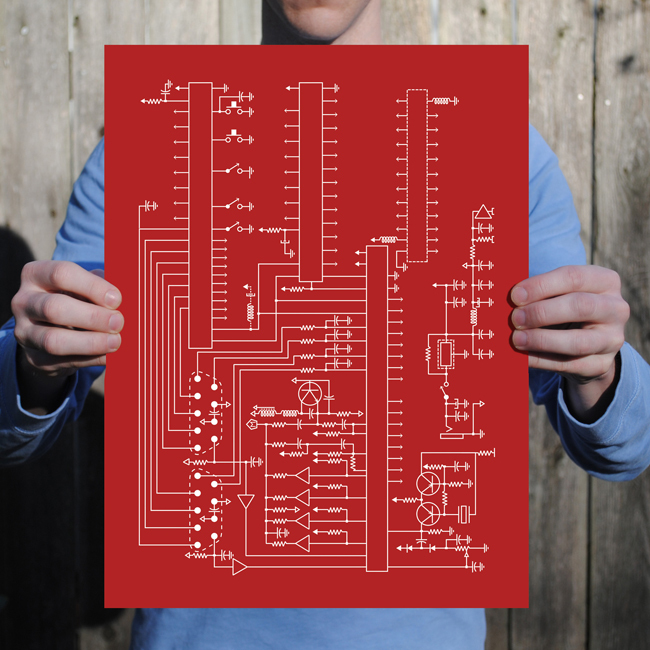 Currently, there are only six different computers and consoles you can get as a schematic print from City Prints. You can choose between these machines to adorn your walls in bright colors: the Apple I, Apple II, Atari, Commodore 64, Sega Genesis, and Nintendo with controller and gun. These pieces are printed on 12-by-16-inch heavy stock that has a subtle metallic shimmer to it, so they won’t look like something you printed on your little inkjet printer. 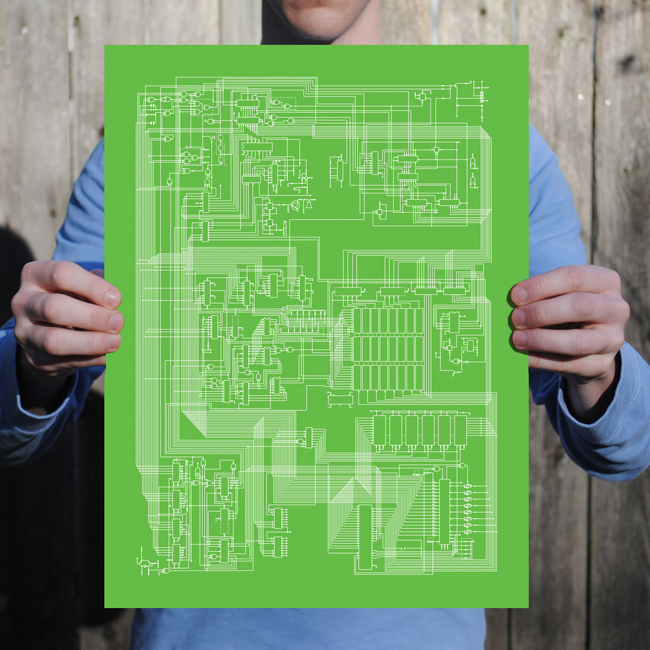 The stand-alone print costs $40, while the print with frame option will set you back $180.